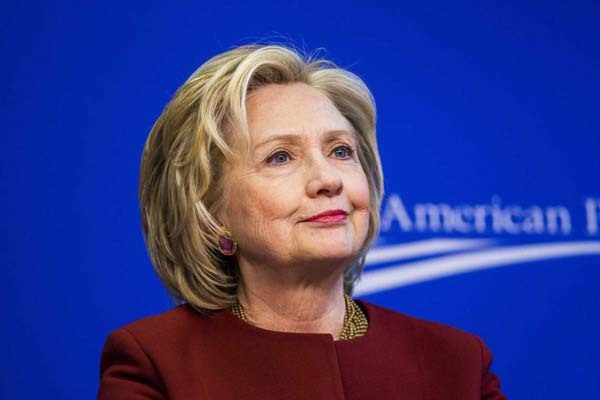 NEW YORK, Aug 5 (APP): Hillary Clinton, the Democratic presidential nominee, has a 15-point lead over Donald Trump in the national poll published Friday following the Republican nominee’s insults of the Pakistani-American parents of a fallen US soldier and otherwise rocky week in his campaign. Mrs. Clinton, the former secretary of state gained ground in the McClatchy-Marist poll, and Trump lost support. Clinton had the support of 48% of those surveyed, and Trump had 33%. Last month, Clinton had 42% while Trump had 39%. When third-party candidates are included, Clinton’s lead held strong. She had 45%, and Trump had 31%, Libertarian candidate Gary Johnson had 10% and Green Party candidate Jill Stein had 6%. The telephone poll of 800 registered voters was conducted July 31-Aug 3. It had a margin of error of plus or minus 3.5 points.